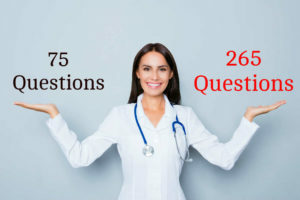 More NCLEX questions can be found on nclexonline.com. View Questions 1. ANSWER A. Ineffective coping is the impairment of a person’s adaptive behaviors and problem-solving abilities in meeting life’s demands; ritualistic behavior fits under this category as a defining characteristic. 2. ANSWER A. This drug blocks the uptake of serotonin.